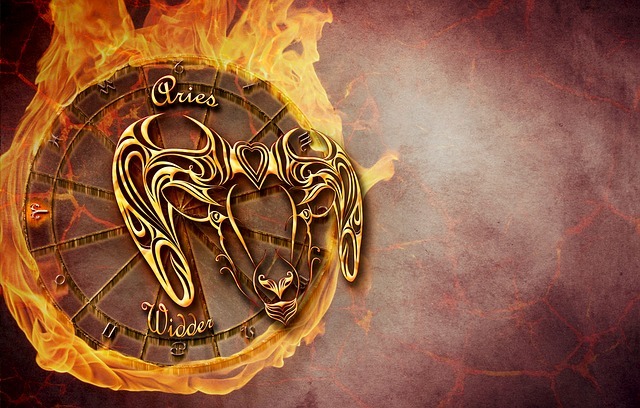 Weekly Aries horoscopes for the week ending 26th May 2018 – with a difference! We tell you the planetary weather, and you decide how you will plan around it! Will you take an umbrella? Will you dance in the rain? Or will you fall in a puddle? Same weather, different outcomes! This astrological weather report for the week ending 26th May 2018 is for people with predominantly Aries energies in their chart. For example, this could be if Aries is your sun sign, rising sign, or moon sign. By seeing what zodiac sign the moon is traveling through, we can work out which areas of life you will instinctively reflect upon for a day or two, and how the energy “weather” will interact with you. With the moon in Leo, your instincts drift to fun, romance, and creative expression. Conflict may arise from unpredictable events and conversations you have concerning your material resources and values. Your mood may find itself in opposition and need to draw a compromise, with aggressive actions that you perceive within your community. Additionally, you may have to overcome a feeling of embarrassment when offered a generous gift from an outside source. Your intuitive spotlight will also begin to focus on matters of communication and short journeys. With the moon moving into Virgo, your instincts drift to your practical obligations, health, and your day job. You may find that you find an unexpected material resource that supports you when you follow your instincts in this area. Nevertheless, your intuition is to understand situations in a multi-faceted way, and this may conflict with the black and white analysis you need to make about practical decisions. Loving family support is available to help you in practical and health matters if you choose to take it. You may also notice that your instincts about your day job show you how you can make slow but powerful progress with your life goals. With the moon moving into Libra, you feel your instincts focus on committed relationships. These instincts will be aroused by the push of your friends and community and what you intuitively understand. Nevertheless, you may feel that you are conflicted about balancing a committed relationship with your attachment to your family. Possibly, you feel that this places restrictions on you when pursuing your life goals. Try to avoid entering into power struggles. You begin a period where dreams and visions you experience when in solitude bring harmony to your ability to overcome many of your deepest fears successfully. With the moon moving into Scorpio, your instincts begin to focus on issues surrounding your fears, intimacy, and other people’s resources. You may feel this puts you in opposition when confronted with an unpredictable event connected to your material resources. You may also feel some anxiety when faced by aggressive members of your community.